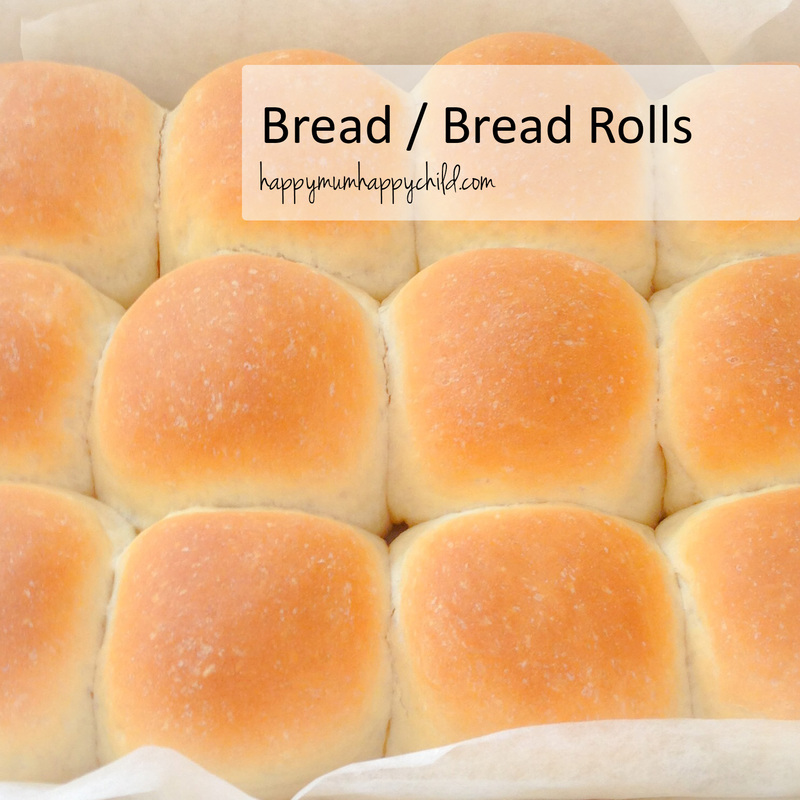 Continuing my tradition of being lazy, here is a quick and easy bread recipe that can also be used to make bread rolls. Mix the flour, salt and yeast in a large bowl. Make a well in the centre, then add the oil and warm water, and mix well. If the dough seems a little stiff, add 1-2 tbsp warm water, mix well then tip onto a lightly floured work surface and knead (took me about 5 mins). Once the dough is satin-smooth, place it in a lightly oiled bowl and cover with glad wrap. Leave to rise for 1 hour until doubled in size or place in the fridge overnight. Line a baking tray with baking paper. Deflate the dough, then gently mould the dough into a ball. Place it on the baking paper and cover with a damp towel until it has doubled in size (about 45 minutes). If you’re making bread buns, once you’ve deflated the dough, divide the dough into 16 equal pieces and form into round balls. Place on a baking sheet at least 5cms apart. Cover the rolls with a damp towel until they have doubled in size (about 45 minutes). Heat oven to 220C. Bake for 25-30 mins until golden brown and the loaf (or rolls) sounds hollow when tapped underneath. With the bread rolls, if you want them to be soft and not have that hard crunchy top (which they will have), then place the buns in a plastic bag after they have cooled down a little. This will ensure they are nice and soft when eating them.